There are two main sectors in the printing industry: general printing (sheet printing) and rotary printing. The purpose of a general printing facility is to produce and sell books, calendars, diaries, flyers and other printed materials to be pasted. The purpose of a rotary printing facility is to produce and sell newspapers, mail order catalogues, leaflets. 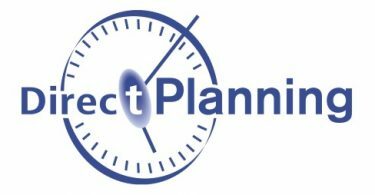 From a customer’s PDF file, the prepress department designs the grid and the imposition scheme of the publication to be carried out. After talking with the customer (web-to-print or plotter) and obtaining the “ready for press“, the production of plates is launched (CTP). Producing publications is at the heart of the general printing: books, magazines, handbooks, documentations. A publication is made of a cover and a series of sections. Sections may have 8, 16, 32, 64, and more rarely 128 pages. 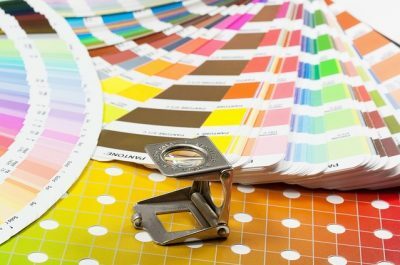 There is a large variety of printing processes: four-color printing, pantone (PMS) or customer hue. 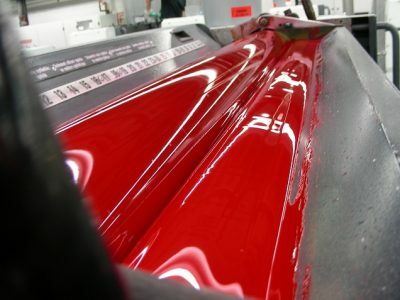 Various varnishes may be used: acrylic varnish, UV varnish, edible varnish, etc. After printing, several steps lead to the final completion of the publication: forwarding (folding sections, trimming, sewing or gluing) and finishing (hand works, insetting, installing accessories). Rotary printing is better suited to large volumes that require a fast production. Thus, it is often privileged for printing newspapers, mail order catalogues or leaflets. Unlike the general printing which uses paper sheets, a rotary press uses reels. There are several kinds of outputs for a rotary press. “Whole publication” output: for example, at machine output, a newspaper may be cut, folded, gathered, ready for reading. A good stock management of reels and papers (stock paper managed and differentiated by customer) by batch and location is an essential management component for the business of a printer. The logistics, allowing for better delivery rounds, is also a key factor. Volume Software’s answer to the needs of the Printing Industry: VoluPrim ERP. VoluPrim information system is specifically targeted at Printers.